The IMF’s latest assessment of Botswana’s economy says that while the near- and medium-term prospects look reasonably good, a much less favorable scenario looms if the development model is not revamped and certain reforms are not implemented. Enrique Gelbard, who heads the IMF team for Botswana, sat down with Country Focus to discuss the report’s findings. Botswana’s performance has been remarkable in the half century since independence, transforming itself from a severely impoverished nation to a high-middle-income country and achieving substantial reductions in poverty and rapid improvements in living standards. Its recipe for success has three main ingredients. 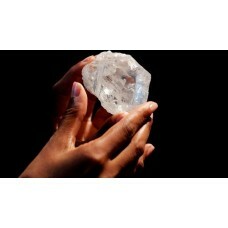 First, it has managed its diamond revenues in a prudent and transparent manner (Botswana has been consistently ranked among the top 50 countries in terms of governance in the world), contributing to sizable savings that can be used to stabilize the economy in case of a downturn and save for investments and future generations. Second, it has allocated a good share of government spending to health, education, social assistance, and investment in public infrastructure. Third, it built a tradition of democratic values which helped maintain political and social stability. That said, the country faces two important challenges: how to reduce its unemployment rate of nearly 18 percent and how to diversify its economic structure, considering that diamonds account for 90 percent of export receipts. Yes, diamond production may only extend for another 30 years and mining activities do not create enough jobs. In addition, Botswana has a small domestic market, which constrains the long-term success of a development strategy based on diamonds and the expansion of the public sector. So, in the period ahead it will be essential to foster the development of the private sector and diversify exports. To this end, Botswana needs to improve its business environment and the quality of the labor force to attract more private investors. The first goal requires the removal of bureaucratic regulations and impediments, the adoption of policies that promote competition, and the privatization of inefficient state-owned companies. The second goal requires improved policies to build skills and work ethic in the labor force together with removal of restrictions on visas and permits for skilled workers. Beyond mining, Botswana also has significant potential in tourism given its natural wonders (such as the Okavango delta), and in the production of high-quality, free-range beef with quota and duty-free access to the EU market (the country has more cattle than people). As the private sector develops, the public sector will need to focus on improving its efficiency and enabling financial development. For instance, the public sector can play a significant role in prioritizing public projects that have economy-wide benefits. Such projects include air transportation and internet connectivity. Reforms that encourage higher levels of lending by banks and access to credit will also support growth. Finally, the merger of several inefficient government-funded enterprises known as parastatals would also improve efficiency. Botswana’s medium-term economic prospects depend on the successful implementation of key reforms, some of which have been part of the agenda for some time. Recent announcements by President Masisi of the government’s intentions to remove burdensome regulations, proceed with privatizations, and relax restrictions on permits and visas for foreign workers are encouraging.